To ring in the new year, Stranger Things let us know via Twitter that Season 3 of the Netflix-exclusive show would be airing this summer on July 4. It was somewhat disappointing to fans as 21 months is a long wait for the next season (there was only a 15-month wait between S1 and S2). However, the Stranger Things marketing/licensing team is hard at work bringing fans things to do in the interim. Engadget noted on Thursday, Hasbro announced that it would be releasing the Dungeons and Dragons adventure that Will and his friends were playing in the first episode of Season 1. 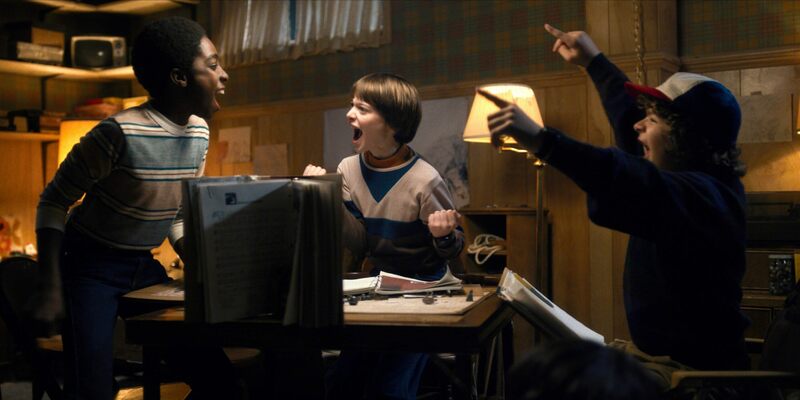 “Hunt for the Thessalhydra” is a Stranger Things themed D&D starter kit. 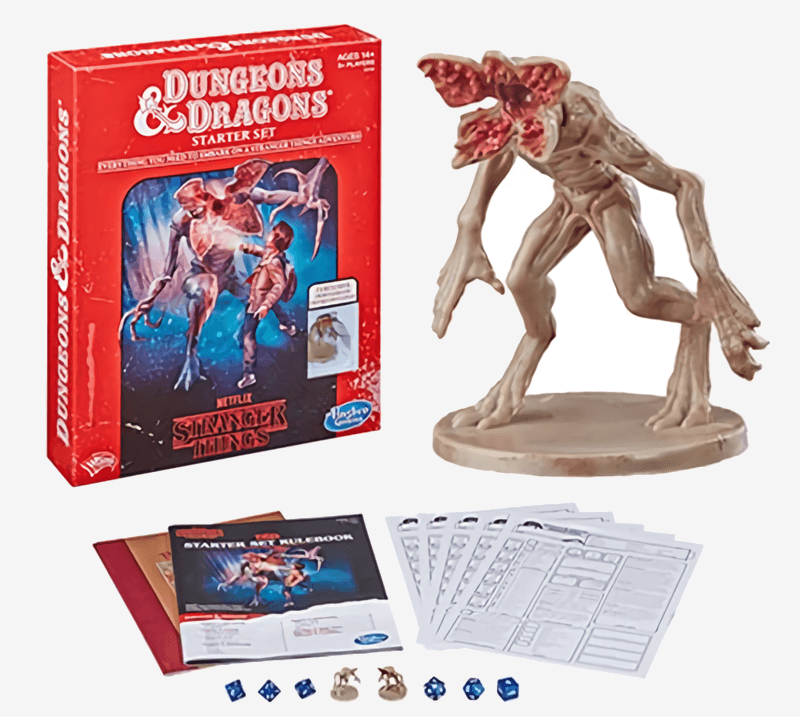 The packaged pen-and-paper roleplaying adventure includes blank character sheets, dice, two Demogorgon figures, and a D&D rule book. The bundle will also have five pre-rolled character sheets based on the characters the kids play in the show. The starter kit does not release until May 1, but you can pre-order from Amazon or Entertainment Earth. 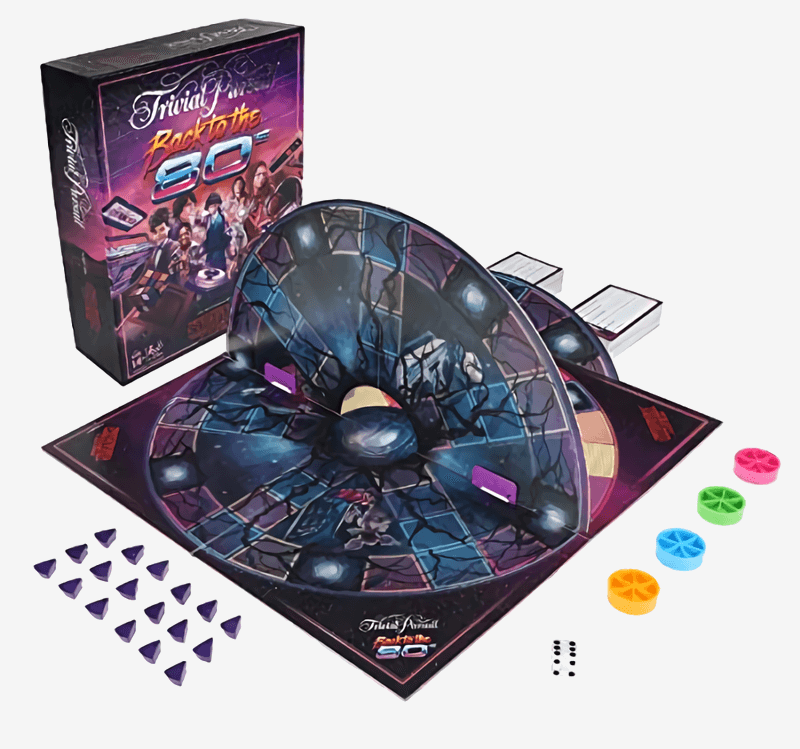 Also shipping on May 1 is a Stranger Things edition of Trivial Pursuit. “Back to the 80s” will, of course, have 1980s era questions on pop culture, people, and events typically seen in the game. It will also have a category on the show. In a Stranger things twist, there are portal spaces on the board. If a player lands on one, the game board is folded over, and all player continue in the “Upside Down.” In this alternate reality of the game, players can lose wedges for getting questions wrong. The game will retail for $20 and can be pre-ordered from Amazon as well. 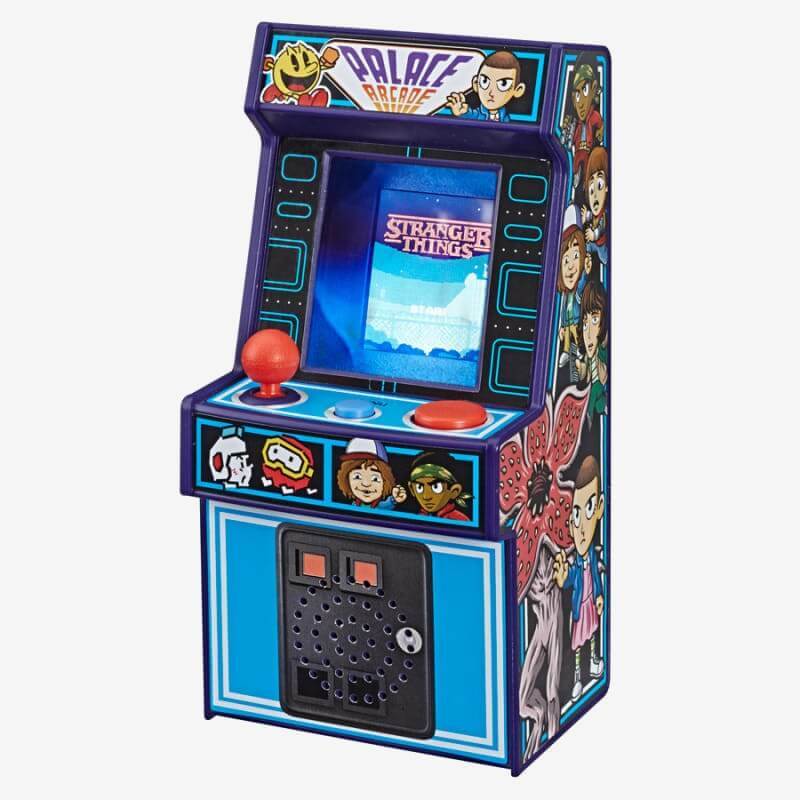 Lastly, Target has an exclusive mini arcade console that comes pre-loaded with 20 games including Pac-Man, Dig Dug, Galaga, and Galaxian. The other 16 titles are all unique Stranger Things-themed games. It too will release on May 1 and sell for $30. Checking the Target website revealed there are no pre-orders available at this time. I don't get the popularity of this show. I watched the first season - and it was a struggle. Then made it through 3 episodes of the second season and said "forget it." Guess it's the whole "E.T." throwback nostalgia thing going on. Good post, psycros. However, I was in the military (Army Infantry Officer) during the 80's and well aware of what was going on in regards to the USSR, pop culture, etc. So not a disconnect there. I don't dislike the show, I just think they're trying too hard with it. I recently watched "Close Encounters of the Third Kind" in 4k. Haven't seen that movie in at least 20 years (came out in 1977). Holy smokes that was a good show. Miles better than some of the "Stranger Thing" type series I'm seeing on Netflix and Amazon Prime. However, there's one Netflix series that if you haven't seen it, may want to check out called "Black Mirror." Like a 21st century version of the "Twilight Zone." Some excellent writing and acting going into that show.